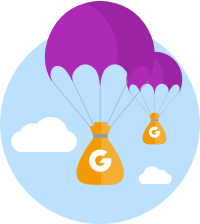 JustGiving's mission is to ensure that no good cause goes unfunded. Through our giving technology, we enable causes worldwide to raise funds quickly and easily online. *If the US nonprofit you are donating to uses Blackbaud Merchant Services then your payment processing fees may vary. UK charities pay a monthly subscription fee of £15 + VAT or £39 + VAT for our service. Learn more in our Charity Terms and Conditions. Australian charities pay an annual subscription fee of $600 + GST for our service. It's completely free to sign up and create a Crowdfunding Page and there is no platform fee. We'll send everything raised to the crowdfunder, but there will be some standard processing costs deducted from each donation. Running, monitoring 24/7 and constantly improving JustGiving's technology so it can handle high levels of traffic while meeting the latest security and banking standards. Constantly creating new fundraising tools and services for charities, to grow the world of giving. Giving charities full access to their data, helping them track and analyse their fundraising success. Taking full responsibility for the Gift Aid we claim on charities' behalf in the UK marketplace, being regularly audited by HMRC. Maintaining our security and data protection systems which are accredited annually at the highest possible level (PCI Level 1).